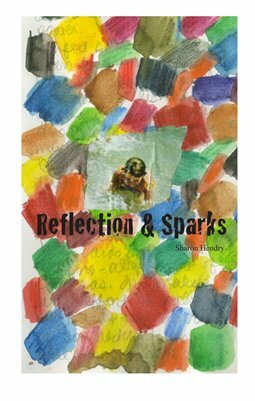 Reflections and Sparks is a 20 page digest filled with art journal pages from the artist, Sharon Hendry. She writes how she was inspired to find a creative process to free her imagination and express her unique vision. The artwork is meant to inspire others to take a blank sketchbook and fill it with their own "reflection and spark" ideas. Step by step instructions are provided. No artistic experience necessary, just a strong desire create with words and images.